MONDAY, Sept. 26, 2016 (HealthDay News) -- Cutting-edge radiation therapy seems to provide a significant survival advantage for older people with early stage lung cancer who aren't strong enough for surgery, a pair of new studies suggests. The therapy is called stereotactic body radiation therapy (SBRT) and it's been available for about a decade. The first study reviewed national cancer data and found that survival rates for older lung cancer patients treated with radiation therapy increased dramatically between 2004 and 2012. Those are the years during which SBRT use became widespread in the United States, said lead researcher Dr. Andrew Farach, a radiation oncologist at Houston Methodist Hospital. A second study based on Veterans Affairs cancer treatment data appears to corroborate the national findings, directly linking increased use of SBRT with improved survival rates in elderly patients. Farach said the results show that radiation therapy should be strongly considered for early stage patients who, due to age or poor health, aren't good candidates for surgery. "Surgery is the gold standard for operable patients right now, but over half of patients can't receive surgery in the elderly population," Farach said. "We were pretty astounded to see the number of patients who don't receive any treatment at all -- it's almost equal to the numbers who receive radiation therapy. These patients might benefit from SBRT," he said. However, there might be factors other than SBRT that would explain the improvement in survival rates, said Dr. Len Lichtenfeld. He's the deputy chief medical officer for the American Cancer Society. For example, medical science has gotten better at sorting out people who have early stage cancer versus those whose cancer has spread beyond the initial tumor, Lichtenfeld said. The improvement observed by Farach and his colleagues might be due to radiation therapy used more appropriately on patients who will benefit most, he explained. "This paper is informative and interesting, but it is not definitive," Lichtenfeld said. "It doesn't answer the question of whether radiation is as good as surgery." In fact, Lichtenfeld pointed out that even with the improvements in this study, radiation therapy had just a 58 percent two-year survival rate compared with 84 percent for surgery. Patients receiving conventional radiation therapy undergo relatively small doses of radiation on a daily basis over the course of several weeks, Farach said. SBRT uses very focused beams of high-dose radiation that more directly target a tumor, said Dr. Ben Movsas. He's chair of radiation oncology for Henry Ford Hospital in Detroit. Several beams irradiate the tumor from different angles, according to the Radiological Society of North America. With SBRT, patients receive just three to five radiation treatments over a period of one to two weeks, Farach and Movsas said. Patients get the same dose of radiation, but there tend to be fewer side effects and less damage done to the tissue surrounding the tumor. In the first study, Farach and colleagues reviewed records for patients 60 and older diagnosed with stage I lung cancer between 2004 and 2012. During that period, two-year survival rates for people treated with radiation therapy rose from 39 percent in 2004 to 58 percent in 2012. Surgery-only patients didn't see a dramatic improvement -- two-year survival rates rose from 79 percent in 2004 to 84 percent in 2014. The national data didn't provide details on what form of radiation therapy patients received, either conventional or SBRT. But, Farach chalks up the improvement in survival rates to the increased adoption of SBRT during that decade. "This trend correlates with SBRT moving into the community," Farach said. "You can actually see the curve tick up year by year." 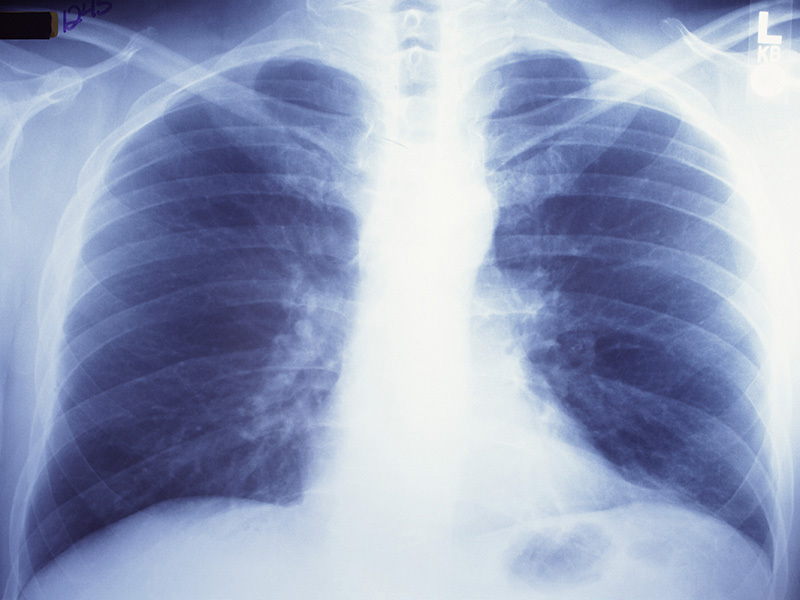 The second study focused on nearly 1,700 VA patients with stage I lung cancer. Their average age was 72. Some received standard radiation, and almost 500 were given SBRT. Researchers found that four-year survival rates for patients who underwent radiation therapy more than doubled, leaping from 13 percent in 2001 to 28.5 percent in 2011. At the same time, use of SBRT increased from about 5 percent in 2001 to 60 percent in 2011. Further analysis revealed that SBRT reduced a patient's risk of death by nearly 30 percent compared with conventional radiation therapy. "SBRT really has made a dramatic difference for these patients," Movsas concluded. Despite these findings, patients with advanced-stage lung cancer or those who are good surgical candidates shouldn't be tempted to consider radiation therapy as an alternative to surgery or chemotherapy, Lichtenfeld said. Clinical trials are needed to determine whether radiation therapy is as effective as surgery in early stage patients, he noted. "I wouldn't want a candidate for surgery to say, 'Well, I'd rather get radiation therapy,' " Lichtenfeld said. "We don't know that people who are candidates for surgery would do as well if they get radiation therapy. I wouldn't want people to think that radiation replaces surgery," he said. Findings from the study were scheduled to be reported Monday at the annual meeting of the American Society for Radiation Oncology in Boston. The findings should be considered preliminary until published in a peer-reviewed journal.